Ever played a game of chess. Chess monomaniacs can be at it for 3 hours at a stretch, such is the level of its intrigue. It has been estimated that there are over 16 billion different possible endings in a 30 move game. It’s structure, positioning strategy, allocation of logic in coin movement, opening repertoire, reliance upon castling for king’s safety, mid-game progression, end game close-in’s all transcend computational theories.Chess has offered metaphorical association to innumerable life instances e.g. memory patterns, spatial analysis, power of concentration, cluster memory, judging complexity, non-verbal reasoning ability, creative thinking, ability to architect various combinations in the mind etc. and in this write-up (not exhaustive but indicative) it is used as an analogy to explicate aspects of leadership. Look at the movement contrivance: The king moves just one step at a time on any empty square around it provided there is no check upon that square. The king cannot give a check to the opponent’s king, all other coins on board can. The queen is the most powerful on the board, enjoys unrestricted freedom of motion, except cannot gallop like a horse. The rook, the next most powerful coin after the queen, moves in a straight line either horizontal or vertical files. Bishops move diagonally. The knight moves two squares horizontally then one square vertically or one square horizontally then two squares vertically. The pawns can move one step at a time with the option of moving 2 squares the very first time they move. They are the slowest coins on board followed by the king. These are a few basic rules and power sharing hierarchy between the coins. To a non-chess player the above rules merely rescinds to insignificance but it is mentioned here to highlight the fact that in spite of the relative strength of each coin in this hierarchy and its ‘movement freedom’ it is neither in the preservation of these pieces nor their position on the board that actually determines the outcome of a game. 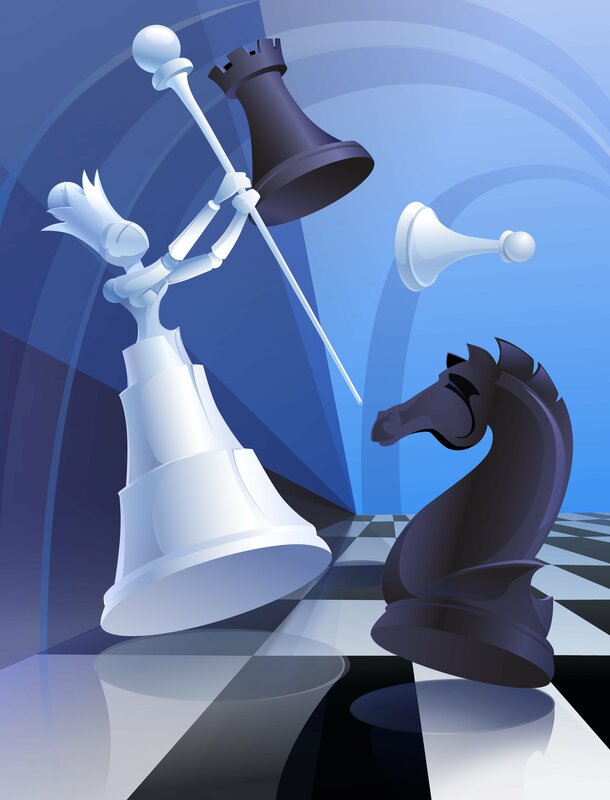 It is their interconnectedness, tactical advancement and propensity to defend own position as well as check mate the opponent’s king that holds significance. A horse or knight could be in a more threatening position to the opponent’s defense in comparison to own queen languishing and trapped amidst own pieces. Let us delve into it a little more to bring clarity. Once the opening moves are done with pawns and the minor pieces (bishops & knights) are developed, somewhere along the midgame level the queen and the rooks takes active part. This is how grandmasters play. Seldom do they bring their queen or rook early into the game as initially it’s a pawn positioning strategy to jostle control over the central squares as well as develop other minor pieces, ensure fraternization between own pieces and quickly effect ‘castling’ (protecting the king by interchanging the king and rook). The queen, rooks, knights and bishops participate in the main battle and bring tremendous power to the mid-game but it is not the power and movement ability of these pieces that determine victory as sometimes 2 supporting passed pawns can be enough to ensure victory as demonstrated by Kasparov in the brilliant game against IBM computer Deep blue 1997 rematch ( 1st series with Deep Blue, Kasparov won 4-2) or the famous king rook pawn that make Bobby Fischer the champion of the world when he beat Spassky. Another match ‘Kasparov vs. Topalov 1999’, one of the best chess games ever played where Kasparov sacrifices a rook and offers yet another rook sacrifice (not taken) just to attain a check mate position, Kasparov registered a stunning win. The genius that Bobby Fischer was, at the age of 13, in a game with Donald Byrne, sacrificed his queen and won the game in the 2nd best chess match ever played. The message, individual power of various pieces doesn’t mean much, the collective strength matters. Taking the applicability of above analogy to organisations; it is not the brilliance of the CEO, or the clairvoyance of VP strategy, or the insight of the Chief Innovation Officer, or the customer intimacy of VP Sales etc. that creates a great organization. All these do matter and can make a difference but if a firm has to consistently perform well over decades, it is the interconnectedness between departments, teams, front line sales people, advertising, PR, branding, manufacturing, quality, procurement, basically each and every employee harmoniously resonating with the organization that is the key in creating a sustained market leader position for the firm. Jack Welch erstwhile CEO of GE did it by creating a boundary-less organization. Instead of idea generation being the sole prerogative of higher-ups, all employees were free to brainstorm and think of ideas and he gave his commitment to listen to them regardless of where it emanated from. 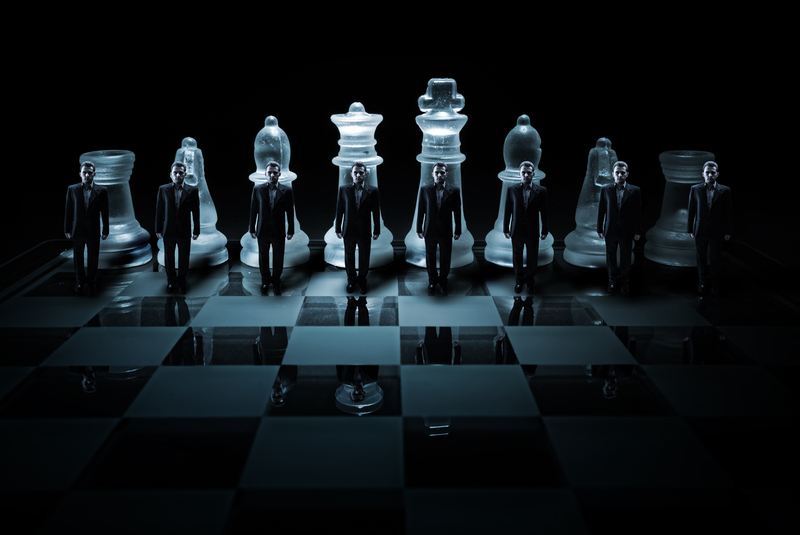 For the prevailing market dynamics the organization decides which are their powerful pieces and leads them into attack but the formation of this attack is carefully planned by optimizing the position of all the pieces including involvement of pawns. The visibility of 64 squares, the playing terrain, has to be made available to the organization as a whole including what competition is doing as every employee acts on the brand promise or should be acting on the brand promise of the firm, consciously as well as unconsciously. Chess is 90 % tactics and 10 % strategy. One doesn’t come to the chessboard with a pre-meditated strategy in mind that is to be executed. One tactically changes one’s approach as the situation develops on the board. Why isn’t it then 100 % tactical, well one needs to understand and learn certain opening moves, formations, piece development strategies etc only then tactics can be of use. Organizations can create a brilliant 10-year vision and 90% strategy to pursue the vision but if tactically they are slow, their responsiveness is laggard, it sure is enough to sink it. A mere 10 % tactical lethargy in certain cases can destroy competitive value. Nokia, Blackberry, Sony Ericsson, Motorola are companies with great core values and vision. They also had long-term strategy and were cruising well with incremental phone models introduced once a year but each of these firms had to relegate their market share and in some cases even wind up/sell off when Apple iPhone was introduced. Apple’s ‘pinch and scroll’ approach was one of the tactics they introduced to invoke usage ease and wonderment amidst consumers and it worked remarkably well. Of course the iPhone is not merely about tactical scrolling gimmick, they had a comprehensive strategy with iTunes delivery system, mobile applications, incredible inter-connectedness between camera to email to SMS to photos etc. but even a small tactical change was enough to dismember the competitors who, other than Samsung till date, don’t have a convincing and compelling answer to the iPhone. This doesn’t absolve Apple either, the firm must keep innovating as competition keeps responding to each of their tactics. Organizations may not need a whole lot of change like capturing an essential piece of the opponent on the board but the emphasis here is that simple positional moves of the pawns could also alter the outcome of the game. The product teams may be brilliant and the sales team may manifest business alacrity and move all over the market like the queen on the board but all this may not be of much use if they aren’t backed with innovative products particularly in a constantly disrupting market, a clever distribution network, customer service, product upgrade’s and so on. Each of these areas needs constant monitoring and improvements. 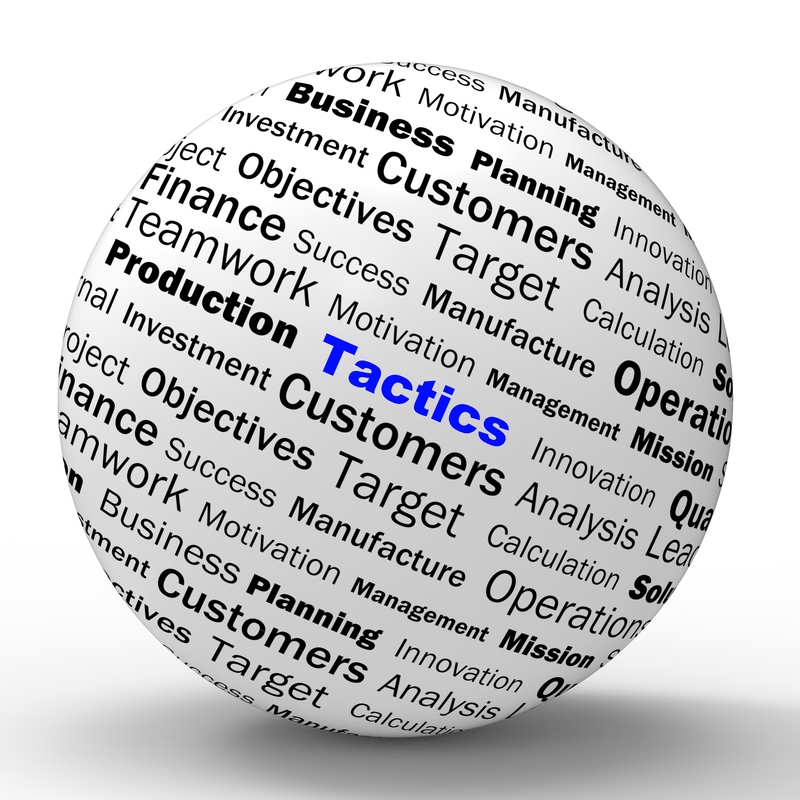 Apart from long-term strategy, agility in creating tactical changes midway is one amongst leadership mandates. Chess is not about movement or response immediately as soon as opponent has moved. It is about finding out as many permutations as much as one can conceptualize, retaining it in memory and quickly re-evaluating the appropriate one (as one perceives at the moment) prior to making your move in the stipulated time. After own move the opponent makes the next move and the board is further opened up with newer permutations possible. The attributes that emerge whilst playing, such as looking beyond the obvious, comprehending the intent of the opponent’s move, possibilities of offence as a strategy, a defensive orientation, visualizing a couple of moves ahead of what is going on all are tactically evolving then and there. You may have a strategy to execute after move ‘x’ of the opponent but this changes after opponent has played the next move. Chess players play on 2 boards; one physically in front of them, another inside their mind where they can fast forward the coins, retract, try out the combinations. In chess, permutations and combinations are not a one time visionary activity. It changes each time either after you move or the opponent makes a move hence has to be recalibrated again and again. This is the same for leadership; a hard cast vision is fine, strategy is fine (and mandatory too) but each change in the market is to be construed as one progressive tactical move and the firm has to respond to it. In the last decade organizations had the luxury of holding on to an innovation for a substantial period but with faster communication and ease of information availability these days particularly in Wireless communications domain, innumerable product & services ideas are forthcoming hence tactical speed is of essence. Speed as an organizational attribute has never been as exigent as it is today and will remain so in the years to come. Strange, in chess, the leader (king) just doesn’t lead from the front. Unfortunately for the king, the rules are devised such that the he doesn’t take part in the whole strategy till the end game. The king is shielded well and during the early stages of the game a safe haven fortified by pawns and an adjacent rook is attained by a method called ‘castling’ and this ensures a safe dwelling for the king whilst the others battle it out to keep opponents pieces from attacking the king. 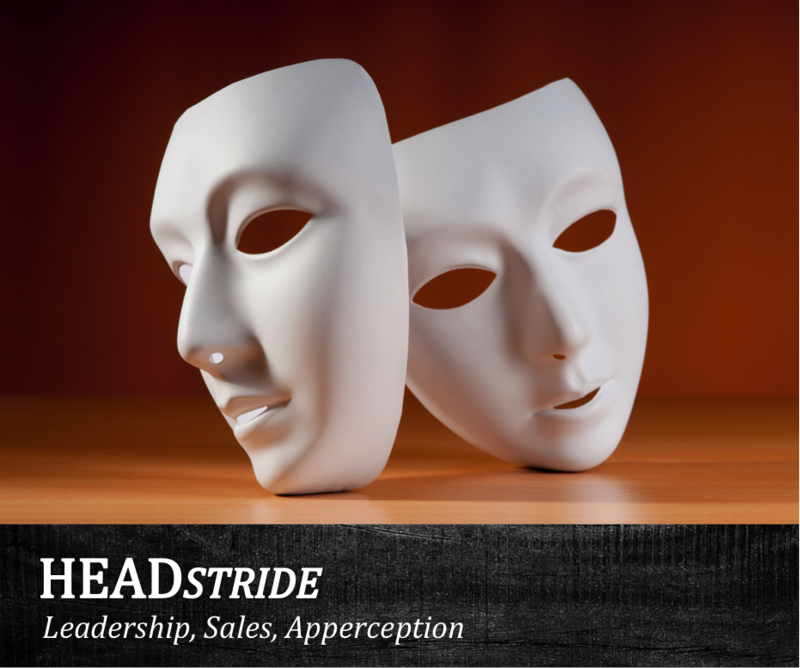 Organizations have to evaluate whether their leaders are exposed to market realities, customer insights, and key customers hearing their voice or whether the leader is within his/her safe castled confines veiled under tasks of strategizing. 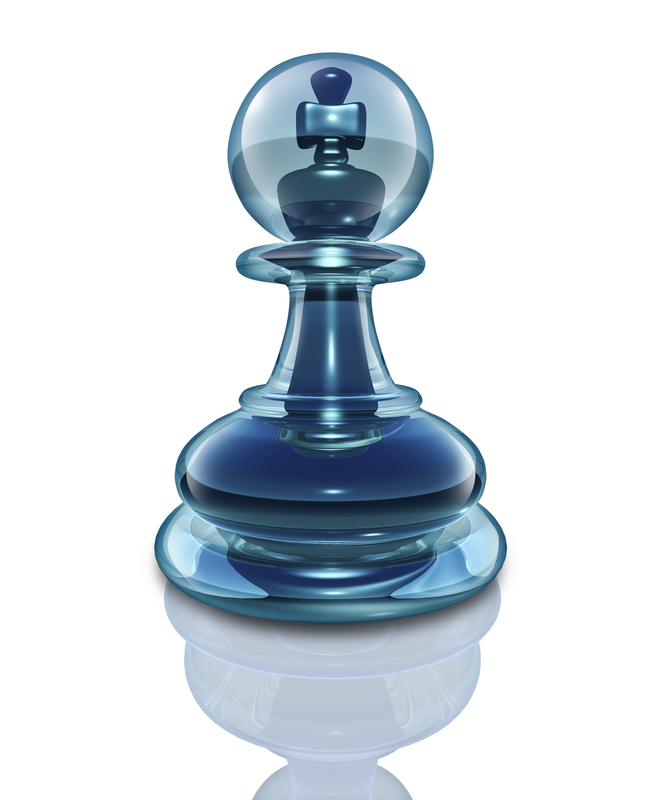 Unlike chess, the leader in an organization doesn’t deputize his team to shield him/her . The leader is out there with a ‘wrestle in the arena’ philosophy. Sir Winston Churchill had sagaciously put thus, ‘The nation will find it very hard to look up to the leaders who are keeping their ears to the ground’ and perhaps this may have had a strong rationale then but in present times leaders need to know what is precisely happening in the playing arena. Unlike other pieces, the king is never actually captured or removed from the board because a checkmate ends the game. Contrary to this, amidst organizations, under attenuating performance conditions, it is the leader (the CEO who is removed). It happened to Steve Jobs in his first innings at Apple. Happened to Tony Hayward – BP in the aftermath of the Gulf of Mexico Oil spillage disaster. Nokia CEO Olli-Pekka Kallasvuo had to resign after their astounding decline in smart phone sales after iPhone got ensconced in the markets. Jeffrey Kinder – CEO Pfizer had to quit due to struggling share prices (27 % drop). Recently Microsoft CEO Steve Ballmer quit due to shareholder pressure over performance and agility in comparison to Apple & Google. 40 % of the highest paid CEO’s in the US over the past 20 years either get fired, fined or bailed out. In chess you have just 64 squares, a limited and bounded territory but in organizations the playing arena can be expanded, globalization is actually doing this. For many firms, their customer in a certain geography could by and large be fixed but one can explore newer markets (which one must aspire towards). One can convert non-users into users with an exemplary product, which Apple has done. They have with absolute legitimacy and product brilliance not just inveigled non-users of Apple products to become users but also made them their avid supporters and these users today transcend to Apple’s product advocates purely due to the usage awe. One can redefine the markets and create new users but it needs a ‘path breaking innovation’ philosophy and it has to be one amongst the organizations fundamental pillars. How many instances are there in corporate life when leaders perceived that they were so close to winning a deal, an RFP, a big customer, bigger market share, create unique ideas & patents, well- differentiated products etc. yet missed it and rationalized the loss with a caption in their head ‘we missed it by a whisker’ or ‘lets see where they (competition) goes with this’. In these markets it doesn’t take significant incidents to nudge a winning deal to slippage. Great organizations do not live upon this fringe leaving their fate to probabilities, they diligently strategize, undertake sturdy implementation of decisions, and tactically keep improvising to ensure success. In chess, positional advantage, material supremacy, defensive conservation all these are important but in a broader sense one is absolutely focused on ‘check mating’ the opponent’s king, nothing else matters. As Savielly Tartakower puts it “A Chess game is divided into three stages: the first, when you hope you have the advantage, the second when you believe that you have an advantage, and the third … when you know you’re going to lose”. It doesn’t take long for the situation to develop. 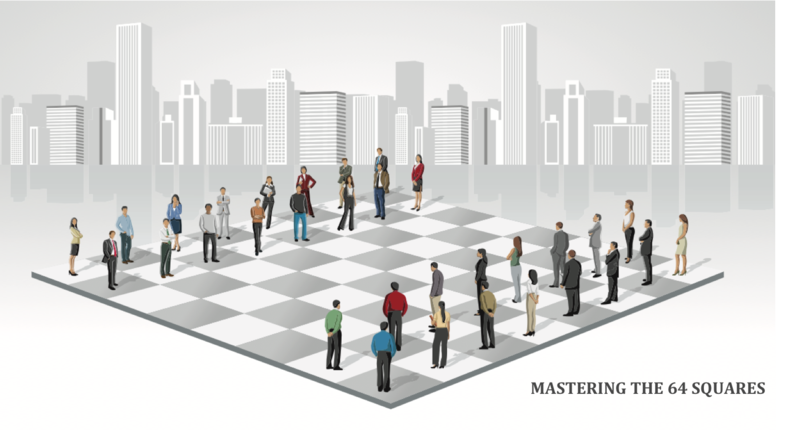 Master the 64 squares (the playing arena), by tactically optimizing the resources you have, shun conformity if it hinders the path of disruptive innovation, lead from the front and listen to your customers, foster interconnectedness between departments, rear the deal till closure. Ironic and strikingly coincidental; Bobby Fischer the iconoclastic genius, died at the age of 64!